The Volvo XC60 is knocking it out of the park when it comes to having the top-rated safety features. If you are looking for a vehicle that you can drive confidently in all sorts of weather and at night, then the Volvo XC60 just might be the right choice for you. The airbags protect everyone in the vehicle from the impact of a collision from multiple angles. The top, side and knee airbags all work together to keep you from experiencing the jarring effect of a collision. 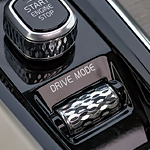 If you notice the vehicle getting a bit out of control in slippery conditions, the anti-lock brake system will keep the brakes from seizing up automatically. There are also stability sensors to decrease the power of the engine when the car is losing traction. Test drive the impressive Volvo XC60 today at State College Motors to enjoy a peaceful and innovative driving experience.